Our hotel offers guests a great selection of luxuriously styled family-friendly accommodation in the Gold Reef City Theme Park. 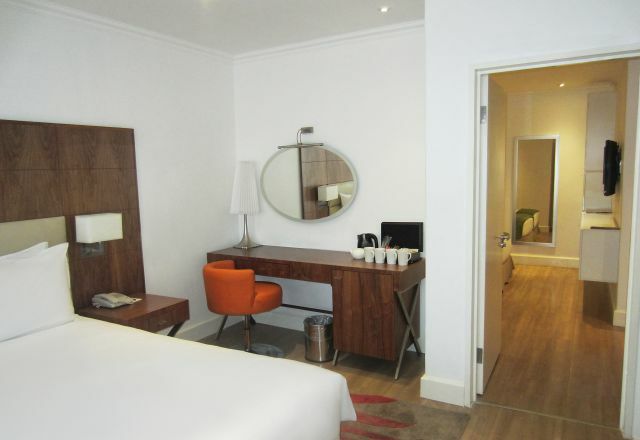 Choose from 75 luxuriously styled en-suite rooms, each well-equipped with a host of amenities. 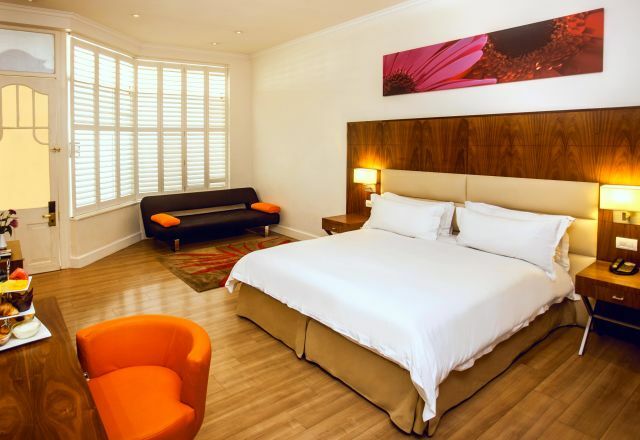 Accommodation features include air conditioning, complimentary WiFi, television with DStv, in-room tea and coffee facilities, a hair dryer, an electronic safe, and more. Standard, Deluxe, Executive and Suite options are available, with the addition of wheelchair-accessible rooms, in an atmosphere of warm, professional service. 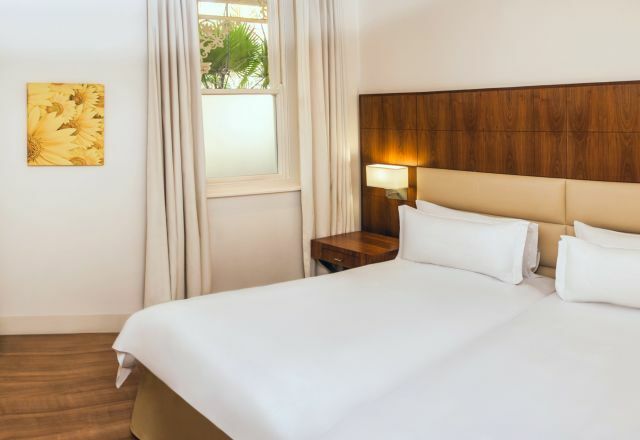 Plush, stylish furnishing and a style that echoes the glamour and atmosphere of the early Gold Rush characterises the rooms and amenities in our Gold Reef City accommodation. 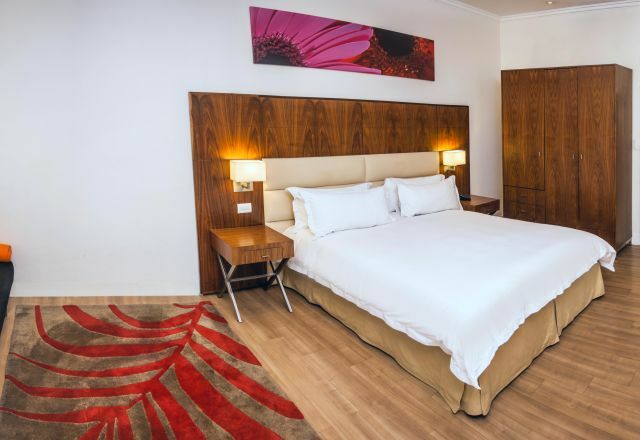 For a colourful, memorable, and utterly unique stay in Johannesburg, the Gold Reef City Theme Park Hotel is the best choice for leisure and business travellers alike. View our Disability Policy and Gold Reef City Theme Park operating hours. Our Standard room accommodation has either a king bed or two twin beds, plus en-suite bathroom with shower and bath combination. Deluxe rooms at our Gold Reef City accommodation have a king bed and sleeper couch, plus en-suite bathroom with separate bath and shower. 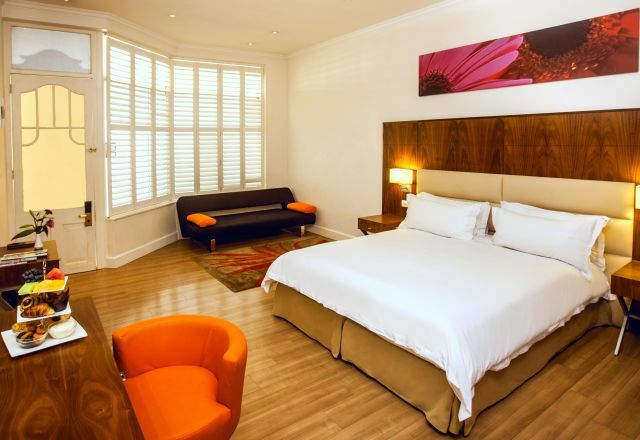 Executive rooms at Gold Reef City Theme Park Hotel have a king bed, plus en-suite bathroom with bath and separate shower. Our Family room accommodation has two twin beds, plus en-suite bathroom with shower and bath combination. Our Suites are generous in size and well equipped with one king bed and two twin beds, along with en-suite bathroom with bath and separate shower.